All bearded dragons are egg layers, and the Inland Bearded Dragon is no exception. The female will dig many test holes, maybe up to twelve, before deciding where she'll lay her eggs. First, she'll dig a small hole and test the temperature and moisture content of the soil by touching her nose to the soil. Then, if she likes it, she'll finish digging the hole and lay her eggs. After the eggs (10 to 20 of them) are laid, the hole is covered and the female leaves to look for food. Females might lay two or three clutches of eggs in a season, depending on the amount of food available and her body condition. The female Inland Bearded Dragon does not stay to look after the babies when they hatch - they are independent as soon as they emerge from their eggs and dig out of their burrow. Bearded Dragons, with their long legs, toes and nails, are very good at climbing. The Inland Bearded Dragon like to feed on a variety of insects, with grasshoppers and crickets being a favourite. Inland bearded dragon can be slightly smaller in size than their coastal bearded dragon relatives. 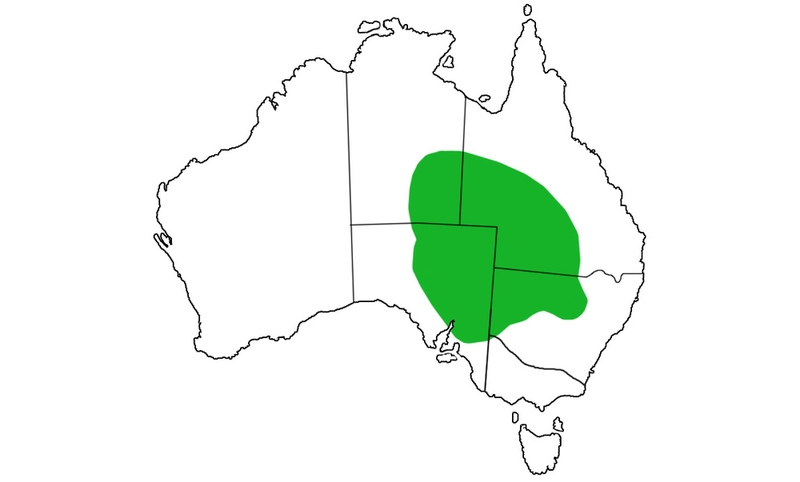 Inland bearded dragon highly vary in colour, depending on what part of Australia they come from. Females might lay two or three clutches of eggs in a season, depending on the amount of food available and her body condition. Inland Bearded Dragon, with their long legs, toes and nails, is a very good climbers. Inland Bearded Dragon like to feed on a variety of insects, with grasshoppers and crickets being a favourite.